Love is in the air. Everywhere you look. Posters, leaflets, websites. Love, love, love. 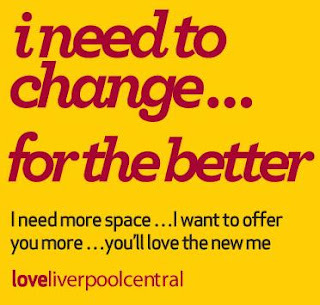 This is of course to promote the forthcoming closure of Liverpool Central, and to try and make sure people realise that their plans are going to have to change. There's going to be thousands of passengers who are going to have to find somewhere else to alight come April. 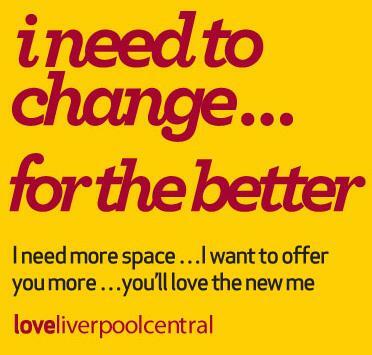 Merseyrail have set up a new website, www.loveliverpoolcentral.com, in which the station talks us through the changes. It's worth checking out for the pics of old Central alone (I love the shot of the station from 1975; it's like something from another world). 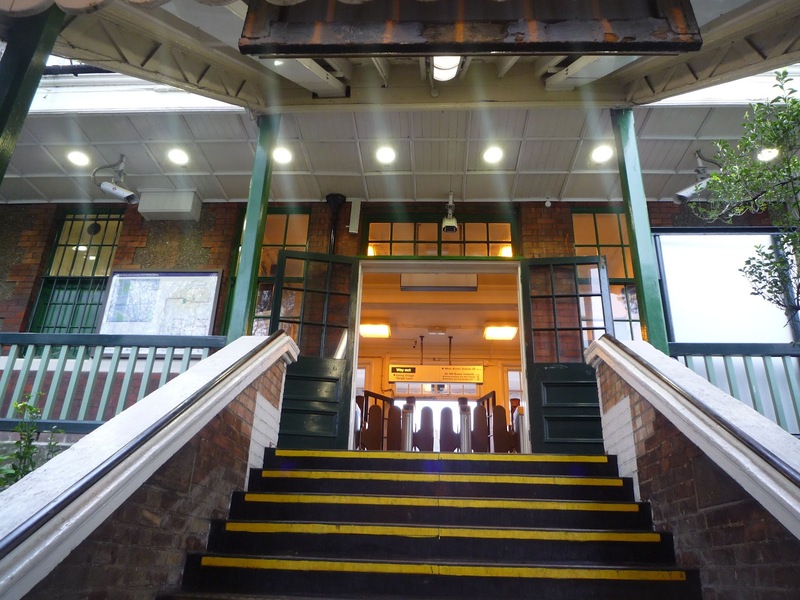 You can also e-mail in your memories of the station; did you, for example, meet your husband or wife there? I'm guessing they won't be interested in the time I missed the last train home and had to wander round the city centre all night until it reopened at six on a Sunday morning. To get round the closure, there will be a circular bus route in the City Centre, plus another connection from Central to Brunswick. This is all more than I would have done - I'd have said, "get out and walk you lazy buggers", but that's yet another reason why I shouldn't be allowed to work with other human beings. It's all nicely done, with a lovely purple and yellow colour scheme, but I'm not sure about making Liverpool Central into a "character". It's friendlier, but it also makes the station sound a bit needy: a bit like a girlfriend who'll do anything to stay in a relationship - change her hair, her friends, her job JUST PLEASE DON'T LEAVE ME! If you read loveliverpoolcentral too much you start to worry for her, in case she'll start self-harming to Joy Division records if you don't pay her any attention. It did make me think of personalities for the other underground stations when they close (Merseyrail have registered lovemoorfields.com etc. already). Lime Street is the slightly arrogant one with a superiority complex, just because he gets "proper" trains. Moorfields is cool and aloof, the logical, efficient businessman. James Street is a slightly dishevelled older person, the kind of nice academic lady who has crazy hair and lipstick on her teeth; loveable and a bit odd. Hamilton Square is the outsider who desperately wants to be invited to party with the four popular kids across the water. Lined up against the wall, their stillness makes them stand out against the whirl of Liverpool Central. Five teenagers: three girls, two boys. They lean up against the blue hoarding, each one adopting a different pose. One arm lean, a shoulder thrust, the full back against the wall. They alternate between insouciance and terror. The girls look bored. Their faces are studied masks of contempt and indifference. This whole experience is beneath them. They're wearing frighteningly mature clothes, tiny denim shorts and crop tops, side pony tails and lipstick. Shiny handbags are hanging over hunched shoulders. Bright bands of coloured plastic surround each wrist. The boys, on the other hand, look scared. They're probably the same age as the girls, but the hormones haven't hit them yet, so they look tiny next to these tightly-dressed Amazons. They stare down at their feet, occasionally glancing at the passing passengers, trying not to catch anyone's eye. They're wondering how they got into this. The girls said it would be fun. Hang out in town. Go round the shops. Their confused pubescent brains say yes to anything the girls say, without really knowing why. They said yes to going to Liverpool. They said yes to getting the train. They said yes to not buying a ticket. On the end, the yellow-jacketed Response officer idly turns the pages of his notebook. He scribbles on the back to wake his biro up. He's in no hurry; in fact, he finds he gets better results if he makes them wait. They didn't realise that if you get caught skipping the fare, the station at the end will be informed of your approach. They thought they could maybe get away with it. It doesn't fill him with pleasure, holding up kids like this, but he has no guilt about it. It's his job. They have to learn. I wondered if they'd managed to think up aliases. Did they have time to come up with false addresses and names? Create a convincing character as they saw the man waiting for them? I picture them stumbling over syllables, inadvertently repeating names ("yeah... I'm called Johnson as well"), shaking. The girls carrying that arrogance that only 13 year olds in neon Primark t-shirts can manage. That shamelessness and anger at even being questioned. The boys watching them nervously out of the corner of their eye, trying to feel the same, trying to get strength from them, but caving in and giving their real details. The girls kiss their teeth and roll their eyes and wait for the man in the fluorescent coat to come back to them for their details again ("the real ones, this time"). On the escalator two more Response officers ride down to the Wirral Line. There's another batch coming in. I was passing from the Museum of Liverpool to The Strand, past the giant black residential blocks that have been constructed on Mann Island. As I approached the Victorian tower at the traffic lights, I wondered what kind of lease the owner of the San Francisco cabin must have. He's managed to hang in there even as everything around him was destroyed, and I bet the posh restaurants headed for the canal basin aren't too happy about the Cornetto and chips stand being allowed to stay. I rounded the corner and got an unexpected surprise. There were engineers outside and they were doing something to the tower. In case you didn't know, that Victorian tower is one of the original Mersey Railway pumping stations. When the tunnel from Hamilton Square to James Street was constructed, there was obviously a great concern that water would leak in from the river and the docks. Drainage tunnels were built into the design, and the water was then brought to the surface via two pumping stations on either side of the river. The one at Shore Road, in Birkenhead, was until recently a tourist attraction until Wirral Council decided that providing public services like museums was just getting annoying. 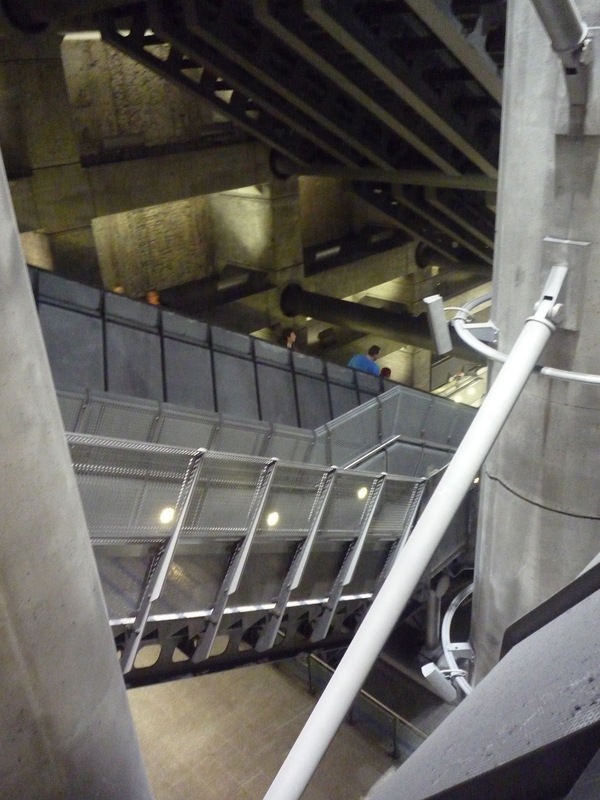 The towers also doubled as ventilation shafts, for when the service under the river was operated by steam engines. As befits its position right in the centre of Liverpool, this station was smaller in size, but is still a pleasing brick throwback among the gleaming glass and marble of the Pier Head. Most people, strangely, look right past it; its efficiency and quiet practical design means it gets overlooked among its larger neighbours. It doesn't look like a building that forms part of a 21st century railway, but the old pumping house is still working hard to keep the tunnel water free. In fact, it's working even harder now, as the Link and Loop tunnels have added to its job description. Seeing inside is a rare treat, so I loitered for a little bit while the workmen unloaded... things. Using my extensive engineering knowledge, I can reveal that they had some sort of pipe thing, and took it into the building. I was surprised by the interior. From the outside it looks like a Victorian castle, but the interior seemed to have escaped from a 1950s bus garage - all whitewashed brick and Corporation green ironwork. Clearly, the facade was the thing. I realised the workers were looking at me funny, so I turned and left, with one final shot. I've no idea what they were doing, but I'm sure it was extremely important and fascinating. If anyone has a clue, please let me know. It was a giddy thrill to see inside though, like getting a glimpse into a secret world. The northern part of the Overhead Railway is now a path through derelict docks, grimy industrial plants and a sealed off Freeport. The southern part couldn't be more different. It's gentrification writ large. When it was demolished, Canning station was between war-damaged docks and an area of waste ground that used to be the Customs House. Today, it would stand beside the Liverpool One bus station, the police HQ and the Hilton Hotel. That's quite a change in fortunes. It'd have been a great place for an interchange (even better if Merseytram had passed through as well, grumble grumble) and a magnet for tourists. Not sure if the Hilton's residents would have been so keen to stare out at a railway station, but that would be their problem. There were cobbles under my feet as I crossed the entrance to the Albert Dock and followed the Salthouse Dock. I wondered if these were originals, or if they were "heritage" additions to the street scene, something for the tourists. A Japanese family looked confused at the corner of Liver Street. They were looking at the iron statue of a horse, The Great Escape, in the process of finally being relocated after being moved away from Church Street a few years ago. I wasn't sure what was befuddling them; the size of the statue, the representation, or its location. They gathered around its base and stared up, like pilgrims; I half expected them to drop to their knees. The Baltic Fleet was pumping out an incredibly noxious smell; no doubt a by-product of its brewing process. I covered my nose and pressed on to Wapping. The old goods yard is now a car park and industrial units; I made a mental note to investigate further on another day. In the meantime I was distracted by the only remaining piece of the Overhead Railway still in place. The cast iron pillars set into Wapping's dock wall are the remnants of the viaduct supports. Their sheer bulk is impressive. I can only imagine that they were afraid it they removed them here the wall would come away as well. The posts rose a lot higher than that, obviously. It's nice to know there's still a trace of the LOR in the city, like the memory of a kiss. The bases are inscribed with the name of the foundry - Francis Morton & Co, Liverpool. I idly wondered where you could get a huge lump of iron smelted on Merseyside these days. Further south, the main road swings away, towards Toxteth, and the dock road becomes a smaller, less important highway. There are old buildings still, on the left, being repurposed into industrial units and cafes and even recording studios, but on the right, it's dockside homes. Brick blocks of waterside apartments, tall enough for you to not be able to see any water from the road, surrounded by neat grass verges. The little cul-de-sacs to my right all had names like "The Anchorage" and "Navigation Wharf", which seemed utterly twee to me. They were such generic names for somewhere with a bit of water close by - not Liverpool specific at all. I ducked down one of them, ready to sneer at the low aspirational living, but I was genuinely pleased by what I found. The homes round the marina will never win an architectural award; you could stick these same buildings out in suburban Heswall or Ormskirk without any changes being made. But their position on the water made them more interesting, especially with a low sea fog rolling across the city in the distance. The cars around me were Fords, Vauxhalls, Toyotas - good honest cars driven by middle class succeeders. The homes here weren't special, but if you were a couple in your thirties, no kids, you had city centre living with a bit of a view for a much lower price than in the West Tower. There's a danger that people view Liverpool's regeneration successes only though its big projects. Liverpool One's great, but the apartments at One Park West are only for the top earners. Same for the Beetham Tower, or the pinnacles round the Princes Dock. These apartment blocks - less fashionable, less showy, but still turning empty land into successful homes - were providing the backbone to the regeneration. These were the ones allowing moneyed couples to find a safe, pleasant home within walking distance of shops and bars and theatres. It threw the aborted plans for Brunswick Dock, further along Sefton Street, into focus. As an outsider, I'd thought that the council's rejection of the 51 storey tower a few years ago was parochialism at its worst. "If someone wants to build it", I thought, "let them!" Walking this way made me realise how wrong it would have been. It'd have been like putting an Apollo rocket in the middle of a car park; a massively over-engineered and designed project in a space that didn't need it. As time goes on, yes, I can see the southern docks slowly increasing in mass and population - but the tower would have thrown it completely off balance. Instead, the Brunswick Dock is the same as it ever was - old dock buildings repurposed into small industrial and office units. It was coming up to lunchtime, so I popped into the large Delifonseca to get a bottle of water and maybe a little snack. This was a stupid move for someone who's dieting. I was used to the little store on Stanley Street; I hadn't realised what a cornucopia of delights were waiting for me in the Dockside branch. 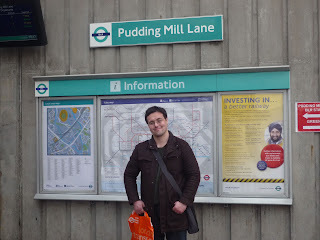 I eventually left without buying anything, in case I cracked and gorged on a lemon meringue chocolate bar. I passed Brunswick Merseyrail station, built on a former goods yard of the same name, and trekked past the many car showrooms that take up this part of the city. A large ugly gas holder rose up behind a Citroen showroom, incongruous next to the newest, shiny saloons. Lunchtime meant that the office workers started wandering out of the dockside estates in search of coffee and food; the Subway seemed to be doing very well out of it. Herculaneum Dock was the end of the line, at least for a while. When the Overhead Railway was first built, this was where it terminated; a later extension veered away from the old station, so it was turned into a carriage storage area. The extension is actually the most fascinating part of the old railway. The land along the docks is flat and regular, as you'd expect, but right behind it is the high sandstone ridge of the Dingle. If the line was going to go anywhere other than along the coast, it had to somehow get past this ridge. The solution? A tunnel. 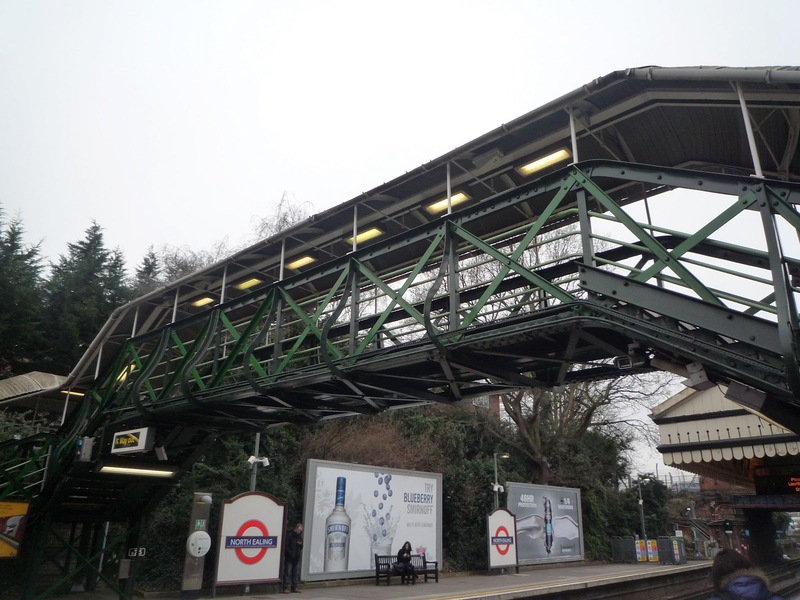 An overhead railway that went underground - it's a delightful contradiction. I turned left at Jack Jones House (why I am not a firebrand socialist, part XVIII: I thought it was strange the Unite union had named its HQ after a lounge singer) and into the car park of Greens Health club. Up above me was the portal to the tunnel, now bricked up but still proudly showing the Overhead Railway's name and date. And I'm not just talking about that awful font. The path lead to the Herculaneum Steps, the old dock workers' route down from Dingle. They were deeply grooved with the footsteps of the men, as though they were made of putty, not stone. The only person I encountered on them wasn't a gnarly faced man of toil, but a young black guy dressed in lycra, jogging down the steps with his iPod on full blast. I made a slight detour at the top of the steps. 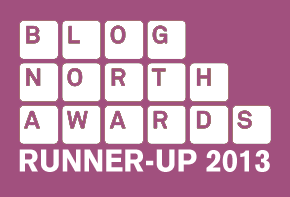 It is a truth universally acknowledged that Bread was a load of shite. It's a terrible, terrible programme, with thieving dole scum Scousers shouting at one another and conning "de bizzies", in between Carla Lane's trademark soliloquies about the loneliness of existence and vegan farming. It still turns up on UK Gold, and I'll try and watch it just for the sights of 80s Liverpool, but the truly awful writing usually drives me away in a few minutes. (Though I always had a soft spot for Billy Boswell). Still, it was a regular feature of a Sunday night when I was growing up, so I couldn't pass up the opportunity to visit Elswick Street, where it was filmed. It's changed since then - the street's been designated a "Home Zone", so there are tubs of plants and traffic calming measures. And it seemed a lot shorter than it did onscreen. I was trying to work out which of the houses was Ma Boswell's when a door flung open, and a woman in a dressing gown and pink pyjamas walked out (it was the middle of the day, remember). She strolled across the street and let herself in at another house. Perhaps it was a more realistic show than I thought. I crossed the battle-scarred streets to head for Park Road. It felt like a lull in the middle of a bombardment; there was hardly anyone about, but there was a strange tension in the air. The abandoned buildings and spaces of empty land added to the feeling of a momentary pause in the war. 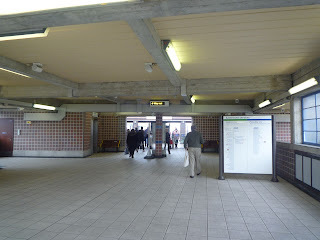 There were Sixties blocks interspersed with older terraces; a combination of bomb damage and slum clearance, I guessed. I can't quite take Dingle seriously. I mean, Toxteth as a place of urban blight and sadness, fine, but Dingle? That's not a real place name - it's a home for the faerie folk. It's even worse when people call it The Dingle, like it's a woodland grotto. So while I wasn't going to check out the local estate agencies for available lets in the area, I thought it was a pretty decent inner city district. It had its problems, fine, but it wasn't frightening or intimidating. It got better as I reached Park Road, with some nicely done new apartment blocks, and the 17th Century "Ancient Chapel of Toxteth". Opposite the chapel, for many years, stood the terminus of the Overground Railway - Dingle station. An island platform had been carved into the rock, with a crossover at the far end and a couple of sidings. 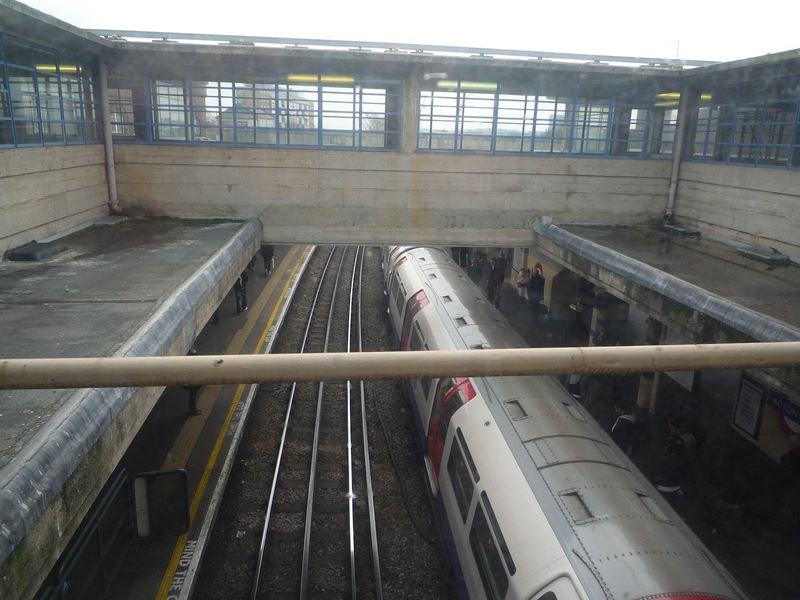 Passengers came down a ramp from the ticket office and were soon whisked off into the city. Today, it's a car repair workshop. The tunnel still exists underground, and is used by the owners, but on the surface all you get is this rather ugly red construction. I know it's hard to make a garage look attractive, but really, couldn't they have tried just a little bit harder? Walking back into town, I thought about the Overhead Railway, and its sad demise. I never like to see any railway close. But I couldn't see a place for it in today's Liverpool. At the southern section, only Dingle has the kind of population to justify it, as seen by the hundreds of buses that run down Park Road (every three minutes!). Along Sefton Street you might get a few more passengers but I couldn't see it being an effective alternative to the Merseyrail line alongside or, indeed, a car. And the other side of the city centre? There's nothing there. Perhaps when (if) Liverpool Waters is built, there'd be a possible need for it, but a tram route would probably do just as well. You just wouldn't build an elevated railway these days. I thought that if it had survived beyond the fifties, the LOR probably would have been demolished anyway in the Seventies, when the city was on its knees. The Liverpool Overhead Railway was a wonderful thing in its day, but this is the 21st Century. It's gone, but not forgotten. A few weeks ago I walked the northern section of the Liverpool Overhead Railway. It was time for me to walk the southern section. Before that, though, I had a small diversion to make. I passed the site of the LOR's James Street station and wandered down to the old Manchester Dock, now put to much better use as the home of the Museum of Liverpool. I'd been here before - on opening day, as a matter of fact - but since then they've opened some more galleries, including one devoted entirely to the Overhead Railway. The Museum's been a massive success since it opened. It's bright, it's clever, it's popular. I was there only about half an hour after it opened and it was busy even then. I still can't quite shake off the feeling that its collection is a bit random and unfocused - the LOR gallery is next to one detailing the history of the local regiment and above the geological history of the city - but you can't say it isn't trying. What you can't dislike about the museum is the extra display space it's given for the city's historic collection. With the Lion, one of the earliest trains to run on the world's first passenger line, underneath the mounted LOR train, you get to appreciate them properly, and their detail. I remember seeing the overhead train when it was exhibited in the basement of the museum on William Brown Street, years ago, and it was just another musty display object. (Of course, back then, I was just an amateur in the ways of Merseyside transportation, instead of my current semi-pro status). I wandered round the ground floor for a bit, involuntarily grinning when I found a portrait of William Huskisson (HUSKISSON!). I thought I should at least pay them some attention before I headed upstairs. After a suitably polite period of time, I dashed up the curly staircase to the Liverpool Overhead Railway gallery. The gallery's aimed at people who had no idea the Overhead even existed, and goes into a great deal of detail about its history and route. In addition to the long map seen above, there's an interactive model of the Liverpool coast. Major buildings have been reconstructed at a tiny scale, and lights travelling along the elevated route simulate the trains. I wanted to play with the miniscule buildings, but I suspect I would have been rugby tackled by one of the museum volunteers if I even groped towards it. The theory is that you can listen to information about each of the stations by pushing a large shiny button and pressing a stick-receiver to your ear. In reality, only one of the three banks of controls was working. I listened for a little bit to info about the James Street station, then slipped the receiver back in its slot. It clattered to the floor loudly. Turns out the little hooks that held it in place had been snapped off; the only way you could get it to stay in one place was to balance it carefully, like a missing round from The Krypton Factor. The receiver next to it was in even worse condition - it was held together by gaffer tape. Considering the museum's not even a year old, that's a pretty poor show. All this technological gimmickry was just gravy, of course; the main feature was the genuine, preserved train, mounted on a fake viaduct and open to explore. The trains were wooden inside and out, with a very basic cabin for the driver to stand in and operate the train, and hard seats for the passengers. There were quite a few people on the train already, recreating the old days; one elderly lady by the window seemed to have taken up residence. I think in her head she was halfway to Seaforth. It was a lovely interior, with those elegant lamps and the warm wood around you, but I bet those seats became very uncomfortable very quickly. Here in the museum it seemed pretty and charming. In reality it would be cramped and uncomfortable, surrounded by filthy dockers swallowing industrial phlegm (it's hard not to notice the prominent "spitting prohibited" signs). I stepped back out onto the fake platform. The stations were all fairly basic wooden structures, though the one at Pier Head was completely enclosed. The one at Seaforth Sands featured the world's first railway escalator, ten years before they appeared on the Tube. The most famous and most unique station, however, was Dingle, which I'd be visiting later that day. The final part of the exhibition details its demise, together with bits of memorabilia and reminiscences from the workers and users. It's touching to see the regard the railway held, and the affection people still have for it. I remembered the old trams and buses I'd seen in other museums - usually preserved for their historic significance, rather than for their memories. Railways are different though. Railways grab a piece of your soul. No-one wants to see them die, and when they do pass, it's with sadness and regret. Since I was in London, I obviously took the opportunity to cruise the Tube. If I'd been on my own, I'd now be presenting you with a lengthy gazetteer, with many, many pictures, and many gushing superlatives. 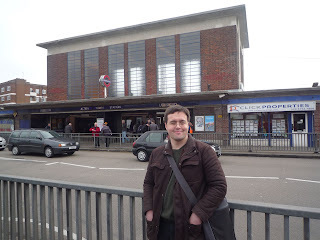 I wasn't alone though, so I politely restricted my Underground antics, just visiting stations I had to, instead of going out of my way to visit Upminster Bridge just for the heck of it. In an ideal world, this would be the first of half a dozen visits to stations with "Acton" in them. 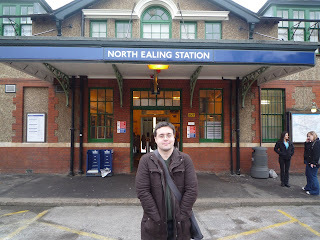 There's an East Acton, a West, a North, a South, a Town and a Main Line all within a few hundred yards of one another. I thought it would be funny (/not funny) to visit them all and add them to my earlier visit to Acton Bridge. 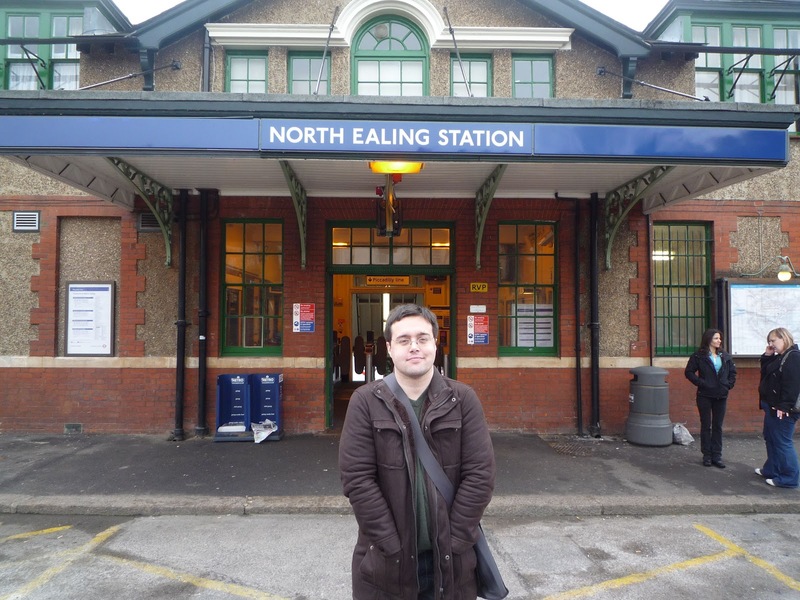 Unfortunately, TfL had closed down the western parts of the Central Line that weekend, ruling out half of them, so instead I proceeded to North Ealing instead. 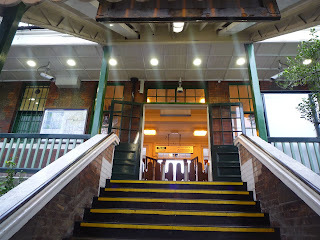 It's a pretty turn of the century station, with wooden canopies and an ironwork bridge crossing the tracks. The below ground position and the copious trees mean you feel like you've arrived in a small country town, rather than a West London suburb. 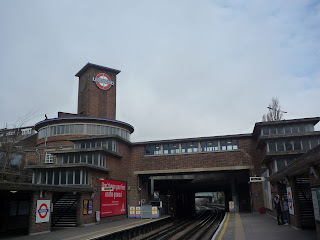 I particularly liked the roundels mounted on their own, elegantly curved boards on the platform. The ticket office, meanwhile, was probably a lot nicer before they put in ticket gates; now it feels a bit cramped and inadequate. The man in the ticket booth eyed me as I took the picture quickly. The Western Avenue is a horrible road. A traffic soaked mess of a dual carriageway lined with retail boxes, industrial units and wrecks of old warehouses. It's one of the city's main roads, turning into the Euston Road in the East and the M40 in the West, and it's determinedly unlovely. Except for Park Royal station. 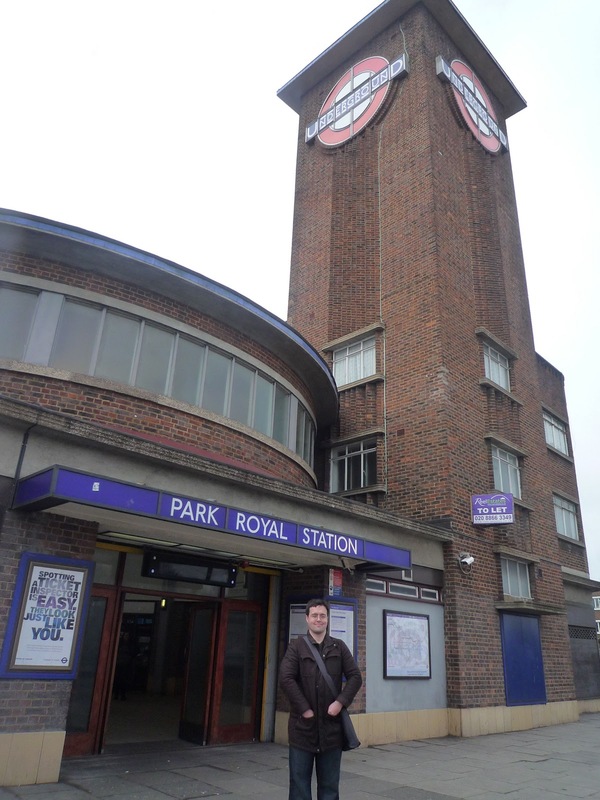 Park Royal is a two fingered gesture to the mass of belching trucks that pass by, a brick construction seemingly designed to make the drivers wish they were on the Tube instead. 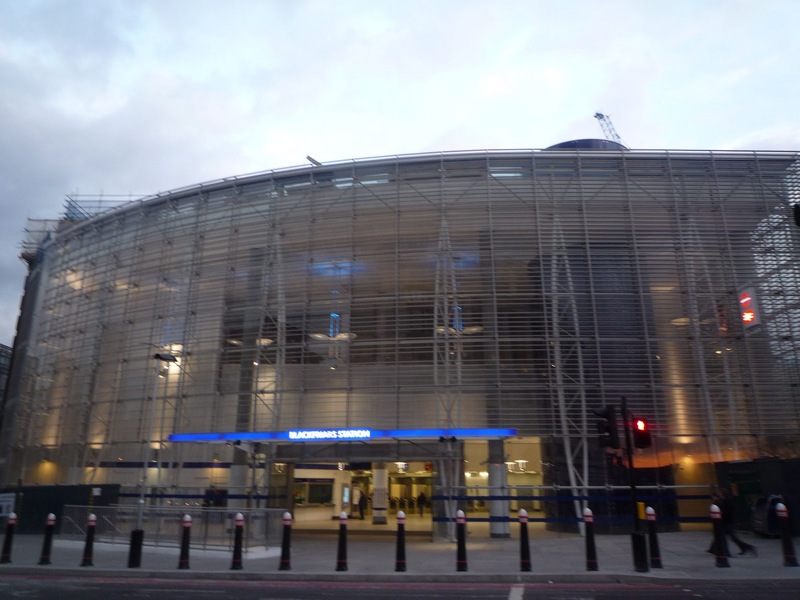 The tower with the giant, glowing roundel is a beacon to attract you to the ticket hall below. Even the name sounds far better than it should; Park Royal should be a space of green acreage, not a bunch of manky factories. The 1930s features have been preserved as best as possible inside, with an original booth for ticket inspections still sitting in the centre, and signs in the between the wars all-caps style. 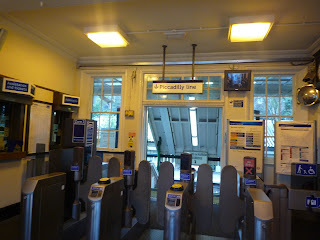 The preservation even extends to signs that aren't technically true any more; one at the head of the footbridge points you in the direction of trains to "Victoria, Mansion House & Monument", a relic of when the station was still served by the District Line. 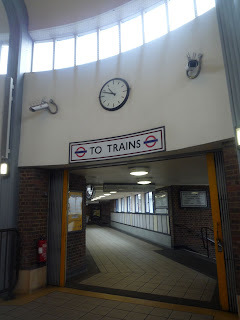 TfL have had to put another sign underneath pointing out that this is just a heritage sign - ignore it. 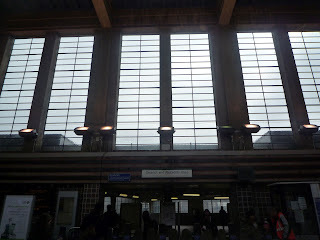 The steps down to the platform are contained in glass boxes, maintaining the chunky brick look of the main building. It mixes circles with straight lines, verticals with horizontals, but it all works. There's even a little 1930s waiting room on the London-bound platform, with wooden seats. It looks like a Charles Holden design, but it was actually designed by other hands, Welch & Lander, showing what an influence he had on the network. I had to come here for the Depot, of course, but that didn't mean that Acton Town was just another station to be passed by. 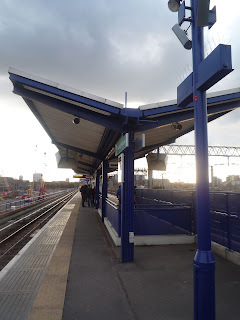 This one is a Charles Holden design, and features what's known as a "Sudbury box", after the station it first appeared in. 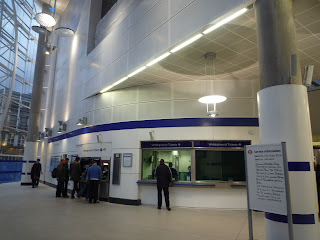 That high-ceilinged cube contains the ticket area, and acts as a marker to the station's location. On either side are wings containing shops and station facilities. The box has no practical purpose, really; you could have built the station perfectly well with a low ceiling. 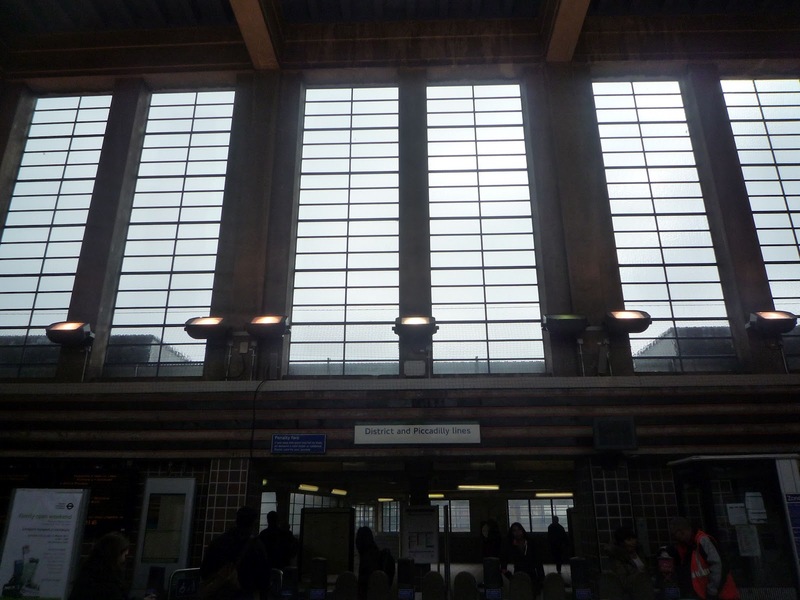 Instead Holden created this massive light box, which allows the station to be floodlit during the day. At night, it becomes an icon on the street, and makes it easy to find. 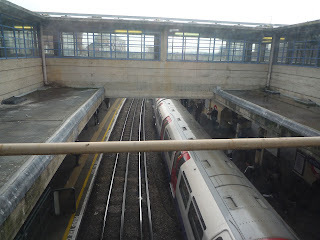 It's a feature that would be "rationalised" out of a station today. Look at Buckshaw Parkway, which I just visited; its principal feature is the massive car park around it, leaving the station building shuffling its feet in the middle. Or Bootle Oriel Road, which has been rebuilt in silver but doesn't have the same feeling of quality and warmth that Acton Town does. Holden got it. I wish he was still around. Even the passageways and bridges are spacious and easily navigated. There was no need to create a separate bridge for passengers changing between lines - this open space at the top of the stairs would have done. Holden did build an additional bridge though, meaning that those passengers are taken away from the crowds, and creating this glazed "square" where you can stare down onto the tracks. You don't need me to tell you Westminster's amazing. But I'm going to anyway. 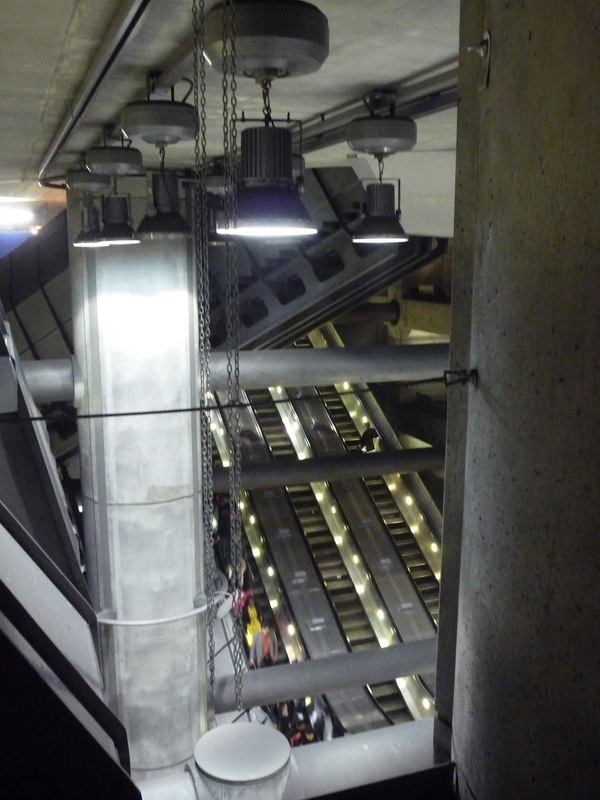 This is part of the magnificent Jubilee Line Extension, one of the few times modern transport overseers decided to put decent architecture on their 'to do' lists. 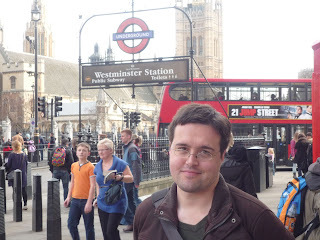 There are highlights all over the place - the spacious Stratford, the cavernous Canary Wharf, the small but charming Bermondsey - but Westminster is my favourite. The low ceiling of the ticket hall is like an architect's joke. 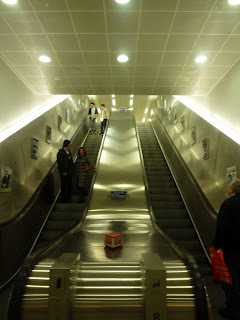 He's preparing you for just another sub-surface station, until you take an escalator down. And your jaw drops as you descend into a cavern, a modern version of the descent into the underworld. Deeper and deeper, amongst concrete and metal, into a dramatically lit world that intertwines passenger routes above and below you. The escalators feel like they're suspended on gossamer threads between the stone pillars. You can see people moving in other directions, but you'll never meet them. The unfinished walls seem so much more interesting than bland white melanine. It's imposing and delicate all at once. 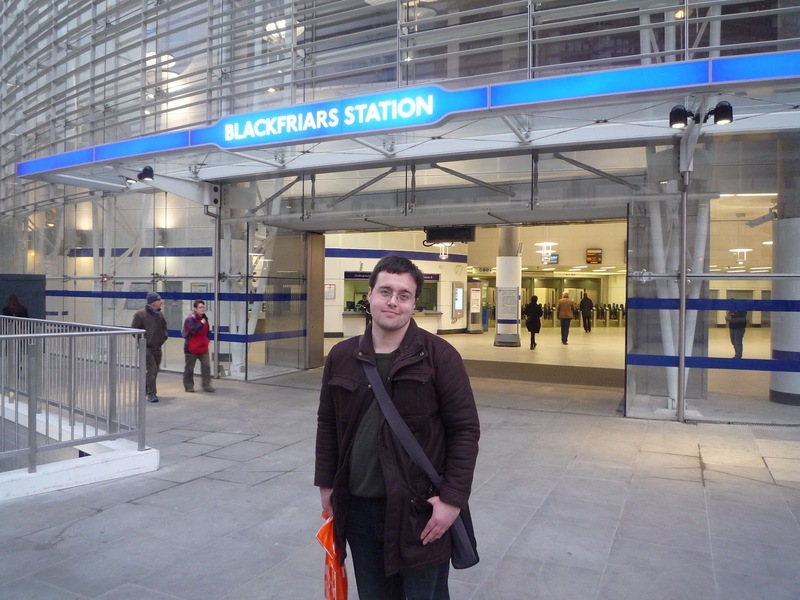 Readers with memories for trivia might recall me visiting Blackfriars at Christmas. 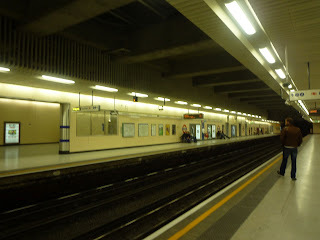 At that time, the Underground station was still closed for rebuilding, but now it's open so I got off for a poke around. It's immediately obvious how much it's improved. Everything feels a lot more spacious. Wide vestibules have been carved out behind each platform to accommodate new escalators, removing the slightly confusing mess of steps and escalators that used to be here. It's a much cleaner, simpler look - perhaps a little bland, with all that cream, but if my memory serves me right the old station was pink, so it could be worse. 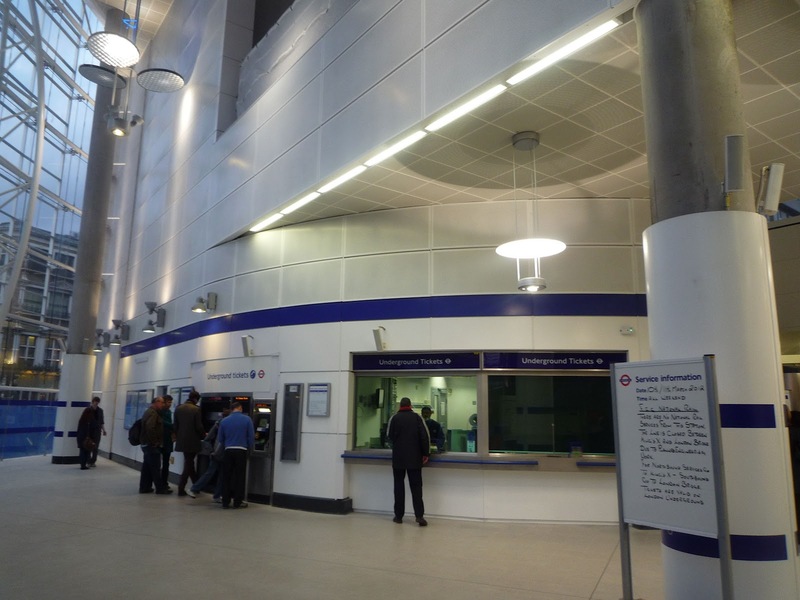 Head upstairs and you get the biggest improvement: a wide open ticket hall, with plenty of space and glass. 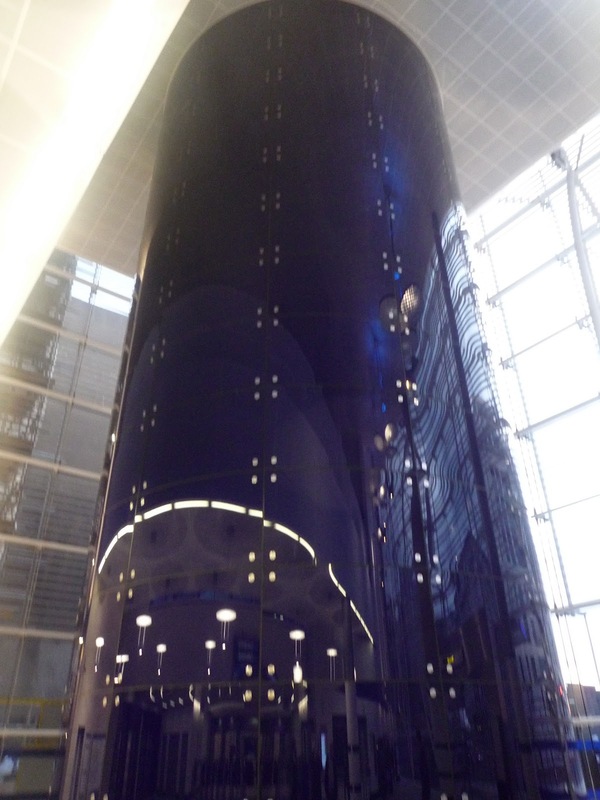 There's a blue funnel heading through it, which is just a ventilation duct, but has been covered in polished glass to give it a feature finish. It's still not done with - integration with the main line station isn't complete (to be finished, as with seemingly everything else in the city, "in time for the Olympics"). I can't complain about what's there though. I take it back; yes I can. 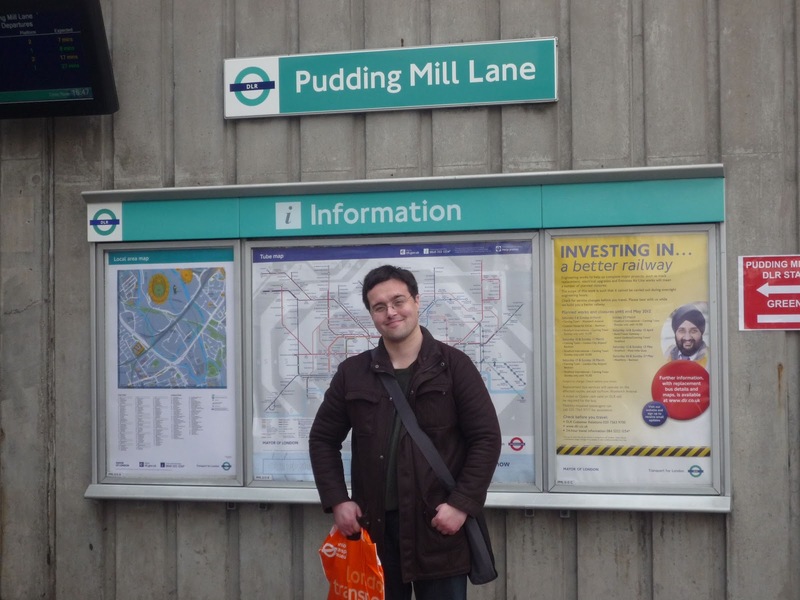 That lozenge round the station name is horrible. It makes me violent just looking at it. 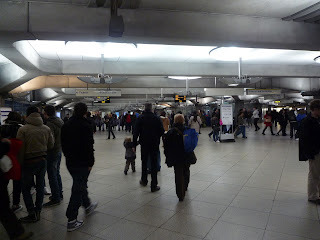 The Underground has a nice simple way of displaying its station signs - a long blue bar with the name at the centre. Unfussy. Uncomplicated. 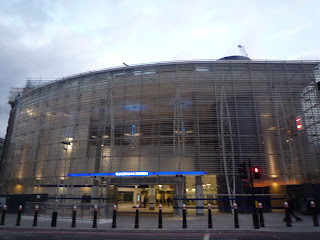 That curvy edging to the "Blackfriars Station" reminds me of the old British Rail totems, which would be fine if this was a heritage mainline station, but it's not. 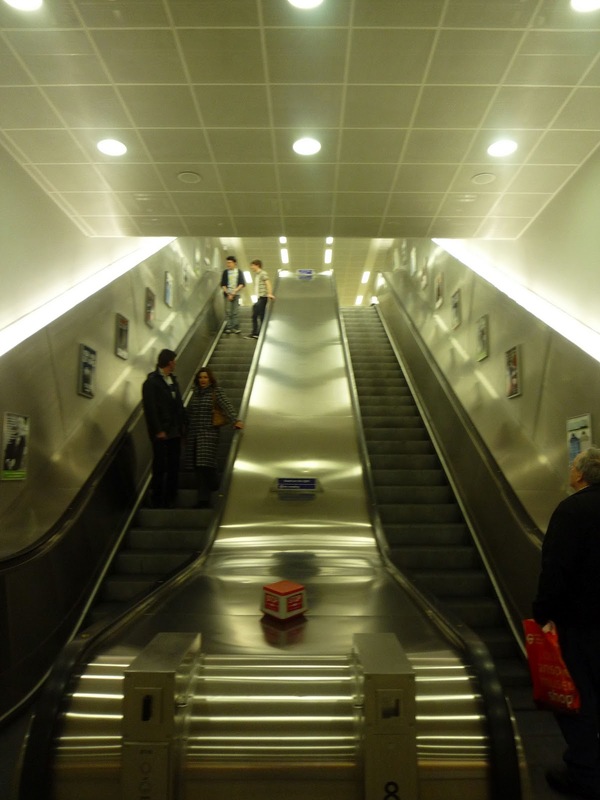 It's a brand new shiny Underground station. I'm properly incensed by it. I blame Boris. I can't get excited about DLR stations. They are, let's be honest, posh bus shelters. Just because they have rails and platforms it doesn't stop them from being unmanned, uninteresting lumps of concrete, just a few seats and a canopy. However, we were out there to have a look at the Olympic Stadium from the View Tube so it was a case of "may as well". Besides, it's not much longer for this world. It'll be closed during the Olympics, because it won't be able to handle all the crowds, and then it'll be demolished completely so that Crossrail can surface here. All around it are building works - either sporty or tunnelly. So consider this a time capsule. A remembrance of things soon to be past. 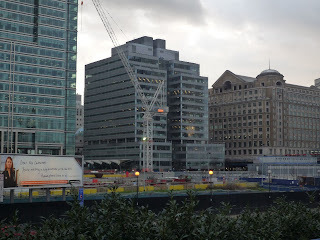 It's not the greatest photo in the world, but that crane is right in the centre of one of the biggest construction projects around. Six floors of railway station - well, two floors of railway station, and four floors of shopping - all being built inside a drained dock (which will then be flooded again when they're done). I wish they'd hurry up and finish it. It's a project that makes me jump excitedly from one foot to the other.